Chipchops, what have you been up to lately? Real life has been busy. Second, I’ve been still finding time to play loads of SWTOR, meaning that I’ve had less time to finish writing and putting it online. So, here’s a quick rundown. As you may have noticed, I’ve changed my handle. I am now Rhekk. This is more accurately my gamer name now, and while I use Chipchops for a great many things, this matches my new Twitter handle. That’s why I changed it. Sorry for any confusion. 2. I finished leveling Abhorus my Sith Marauder. I still haven’t really got the hang of playing a melee class in this way, but respeccing into Carnage, I’ve enjoyed PVP more. Finished Act 3 at 48, and Illum’ed it up till 50. Big thanks to Geldarion for the assist. 3. I am 5 levels away from capping my Mercenary, who I decided should be human instead of Miraluka (Legacy RP-wise). 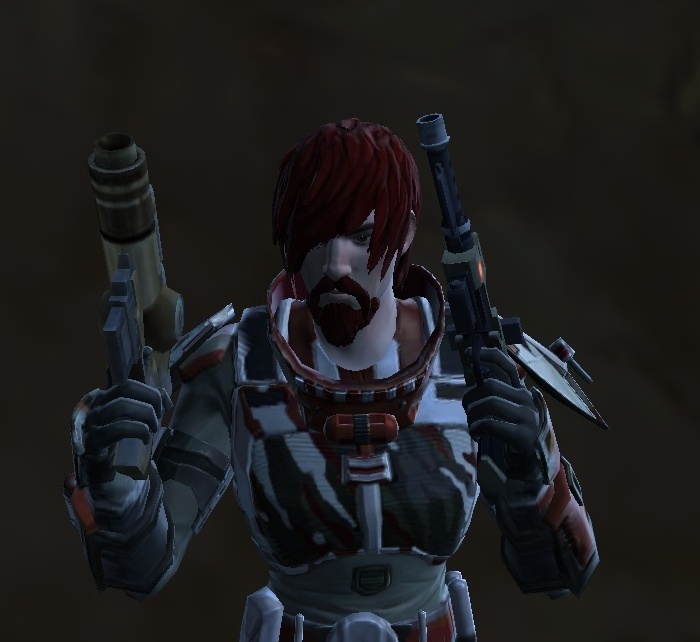 His name is Rhekk (RP-wise, Rhyla’s brother), now is toting the “Space Pirate” title, and is mostly rolling a PVP/class story-based leveling style…Bodyguard spec. I have absolutely LOVED playing Mercenary Healing in PVP, despite the fact in many cases they are considered the least effective PVP healer. Personally, I’ve had some great success. I’ve loved the story as well. So fun. Tracer Missile Spam until about level 30. Replaced with Kolto Missile, and a lot more fun. One of my top 3 that day. I think my highest point was over 130k. 4. 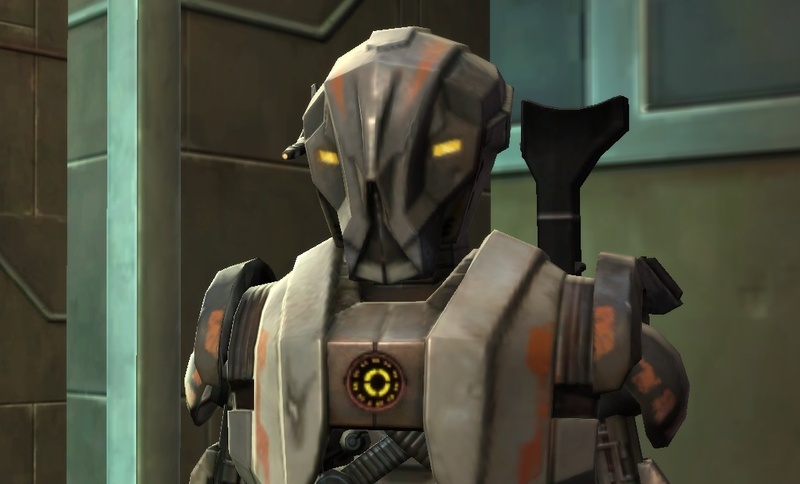 I’ve gotten to play some of the Gree Event, but to be honest, other than reviving Ilum’s Open World PVP, which I’ve loved trolling on my Scrapper…I was only slightly impressed. Granted, it was an improvement from the Chevin Arms Race. Also, the Reputation system was an addition I greatly appreciated. Probably has something to do with the fact that I loved doing Reputation in World of Warcraft. I was well on my way to “The Exalted” (40 Exalted Reputations) during Wrath of the Lich King, and had gotten quite a few of the Reputation Titles. Making it Legacy-wide was a huge plus. 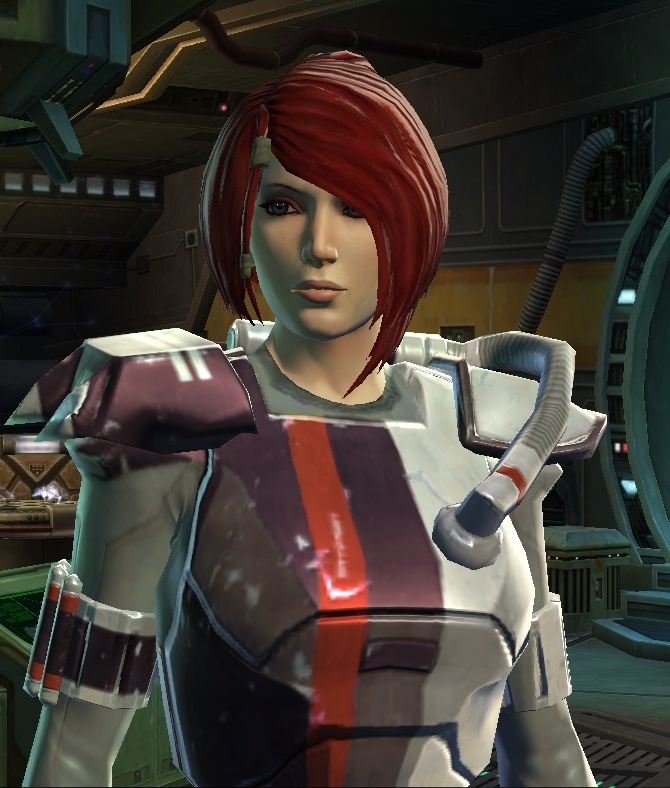 Rhyla Aryon the Blockade Runner’s new look. Still a scrapper, though. 5. Been playing a lot Skyrim as well (considering I was very late in beginning to play it). In anticipation for The Elder Scrolls Online, I have enjoyed picking up Elder Scrolls again and taking breaks in between playing SWTOR. Looking forward to playing a Dunmer and seeing Morrowind again. Oddly enough, I haven’t posted since before the New Year. No dice. So, time to fix that. I’ve had several things in the works, and plan to introduce them very shortly. First, for those who like to read about in-game stories of cool experiences and such, I am beginning to compile some of my favorite stories I tell my fellow gamers. Most of them involve kills, and I think it’ll be pretty fun. So you can definitely expect that. Second, I have some interesting opinion pieces inspired by my “Guys Playing Girl Characters” article, and hope to get those up. I enjoy having a funny rant every now and then about social aspects and meme-worthy material in games, especially the MMORPG community. 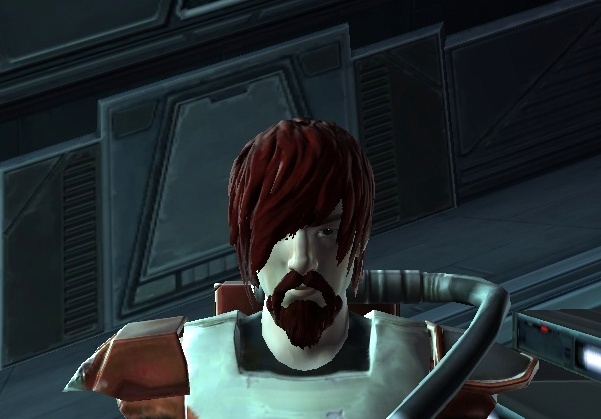 In addition, I also hope to weigh-in to some of the changes going on in SWTOR, and plan to try out Wildstar on launch. Third, and the most ambitious, I have been working on a SWTOR fanfiction for a while now, and also have been working on illustrative art for our (Geldarion, Torvox, my wife, and myself) SWTOR characters. I decided that instead of splitting myself between the two, that I would combine them and develop a comic based upon the fiction I’ve been writing. So I plan on posting that as I finish by chapter/ issue kind of thing. As an artist, I am kind of breaking into this scene, mostly for fun. So I figure it’d be a way to incorporate four of my loves: Art, Writing, Star Wars, and Gaming. Plus, it gives me an opportunity to collaborate with Geldarion and Torvox about their characters/ roleplay/lorecheck. So, anytime I get to do something creative with my bros is an awesome opportunity. Lastly, I’ve begun a Twitter to start interacting more with the gaming community and promote The Fanatical Swordsman in another way. Feel free to follow me on Twitter at @RhekkAryon. Chipchops was already taken, so I thought it time to provide a little more uniqueness and consistency to my “online identity”. Good times.